Speakers, Agenda, and Sponsors are in the conference program, available for downloading as a pdf file HERE or click on the conference cover above. 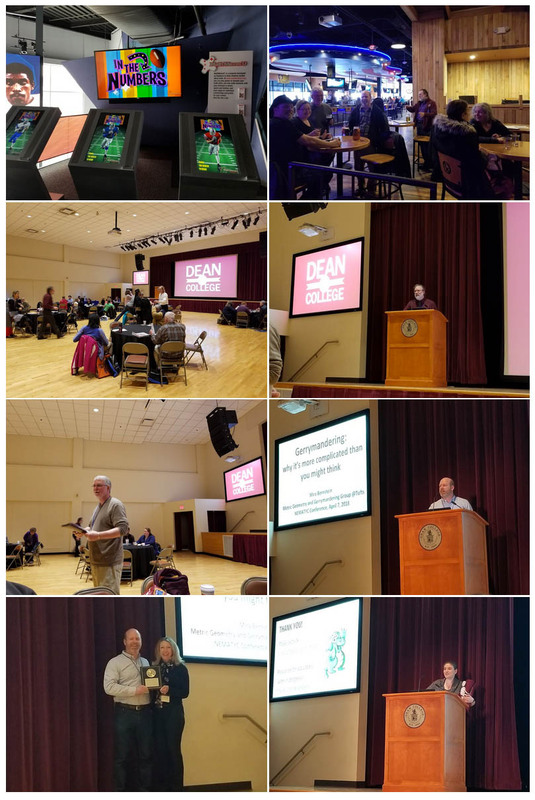 NEMATYC 2018 was held at Dean College, Franklin, MA, on Friday and Saturday, April 6-7, 2018. The theme was “Applying Mathematics to the Future”. The conference chair was Rick Neville of Dean College. Participants enjoyed a program, with timely presentations, networking, awards, a business meeting. Friday evening featured a reception at Patriot's Place at nearby Gillette Statium. The keynote address was by Dr. Mira Bernstein, Tufts University, Gerrymandering: Why It's More Complicated Than You Might Think .